Our midwife arrived minutes after. She moved back a slight cervical lip and gave me complete permission to push. WOW! I was amazed at the incredible power my body put into each push. I had read that in your birthing time it is very relieving when it comes time to push and I now know what those women were talking about. After a few pressure waves my midwife suggested that I reach down and feel my baby’s head in the birth canal. That was another WOW! moment. With each push I could feel his head move closer and closer, it was so amazing and exciting!! We didn’t have enough hot water to fill the birthing pool very far so it only reached up my tummy when I was on my hands and knees. My midwife had me get into a squatting position so that my bottom would be submerged for the crowning but that position stopped the baby’s progress so after a few pressure waves she had me get back onto my hands and knees. From there the babies head was soon crowning. As I was trying to slowly ease my baby’s head out I could really feel the stretch so when my midwife asked me to push I obliged her and in two pushes I felt his beautiful head emerge (I still didn’t tear at all. YAY!). It was strangely incredible to feel his head protruding from me. I could feel his wet hair and his tiny ears. I was then told to go ahead and push out his body even though I wasn’t having a pressure wave. I was surprised at how easy it was to do so with one quick push. He was born at 5:50. I immediately turned over onto my back and my little angel was placed onto my stomach. He lay there looking around at his new world, occasionally making the most beautiful sounds I had ever heard. Nurses help mom to achieve her Hypnobabies VBA2C! 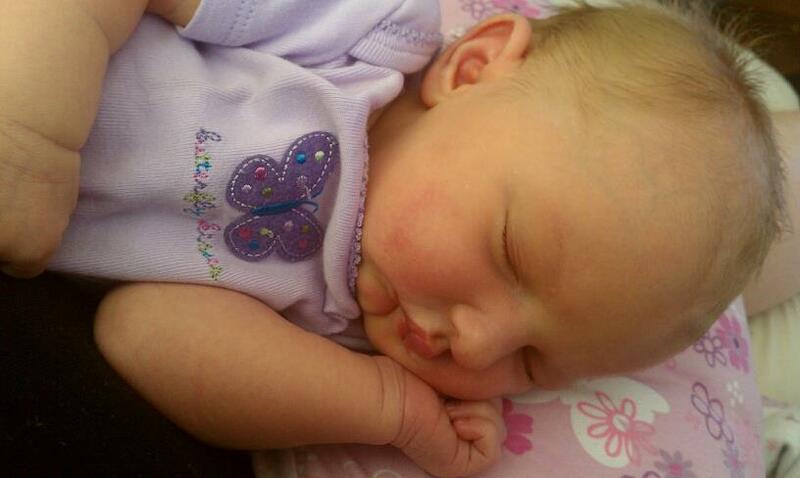 Lyla was born on April 16th 4:13am weighing 7 lbs 10 oz and was 20 inches long! I would definitely call this a Hypnobabies success story! A lot of people have been curious about Lyla’s birth story especially since I used hypnosis to have a completely natural birth. I hope that in sharing, this will encourage more women to trust in their body’s ability to give birth naturally and not be so quick to accept interventions that are unnecessary (and which lead to more interventions and c-sections). Also, I wanted to add to all the other positive stories out there of successful VBACs- and for everyone to know that a VBAC after 2 c-sections is not only possible but can be such a great experience! Those who know me know I tend to be wordy, so yes, this is long and detailed. Also it is a birth story- so expect it to be just that! To tell the story of the birth Lyla, a little bit needs to be said about the births of our first two children. Having a natural birth has always been important to me. My mother had 5 kids and it wasn’t until her last baby that she experienced the rewards of a completely natural birth in Japan with the help of some amazing midwives. That was enough for me to want it. However, my first birth ended in a c-section. From the very moment I walked into the hospital, nothing was going my way. Although I didn’t want an IV or to be monitored constantly I was told I had to and I eventually gave in- and I ended up laboring uncomfortably in a hospital bed. By 8cm it was just too much to handle and I asked for an epidural. When I hit 10cm I was immediately told to push (unnaturally) and pushed for 3 hours with no progress. Never once did I feel an actual urge to push. My tired doctor finally convinced me I needed a c-section and I gave in. With my second baby, I approached the same doctor about a VBAC. He told me my pelvis was too narrow for natural birth and that I would need a scheduled c-section. He was very convincing and I trusted him again. When I got pregnant with my third, I knew I had to do what it took to get my natural birth. A birth where I was alert, aware and in complete control of my body. From the very start odds seemed to be against us. I was worried that after 2 c-sections it would be impossible to find a care provider who supported my wish. But with encouragement from my husband and close friends, I started searching, and my search led me to Melissa Courtney- a midwife who had just started her own practice at Womankind Midwives. I remember feeling so nervous walking into her building to talk to her- and I RARELY get nervous over things like that! But the moment I met her I felt at ease. She was kind and sweet and took a lot of time to listen to my story and the reasons why a natural birth was so important to me. She calmed any fears I had about uterine rupture and other complications. Even as I got really emotional she was so sweet and understanding. I knew immediately that I wanted her to deliver my baby. BUT. There was a catch- she had to get a doctor who would back her up just in case. Thankfully that was Dr. Campbell- a high risk OB who supported midwives and their cause. I had to wait for Melissa’s call that day that he had agreed to give it a go. I was so nervous. Then the call came. He was on board! There were a lot of “what if’s” but at that point I didn’t care. I had faith that things would work out and I wasn’t going to give up. In our quest for a natural birth, we decided to take a Hypnobabies class. My best friend had used Hypnobabies with her VBAC and raved about it. That led my sister-in-law to use it for her birth and she also had a great experience. The class was taught by Julie Six, who was also my sister-in-law’s doula. I decided to contact her to see if she would be a good fit for us. In talking to her, she was very experienced and passionate about what she did. After texting back and forth we also discovered that we knew each other already! From high school! Small world… no wonder she felt like an old friend! We decided to hire her as our doula and I had every bit of confidence she would help me in every way possible to get the birth that I wanted. I also learned early on that finding the right people to support you during birth is so important! As my due date got closer and closer there were a few concerns. My first 2 babies were apparently considered close to the “large” side at 8 pounds (Joselyn) and 8 pounds 10 oz. (Landen) The policies at the hospital don’t allow for VBACS of babies looking to weigh more than 8 pounds 14 oz. (let alone a VBA2C!) So Dr. Campbell wanted to make sure that my little Lyla wasn’t going to be close to that number. At 37 weeks she was already calculated at weighing 7 pounds 3 oz and with babies growing about half a pound a week, we would be cutting it close. At this point I should also mention that apparently there were 2 due dates floating around. Dr. Campbell had been going by my April 6th due date (calculated according to the first day of my last period)… but according to an early ultrasound, her due date was actually projected to be April 11th. The latter was the date my midwife had been going by. We went back for another ultrasound 2 weeks later and were relieved to find out that she had only gained 4 oz!! This was such a blessing!! With that, Dr. Campbell pretty much said we were good to go!! My only concern after that was that she would come fast so there would be no more questioning her size. So then we just waited. And waited. April 6th came and went, nothing. Easter came and went. I was for sure she was going to be an Easter baby. April 11th came and went and nothing. I was starting to get a little concerned… but Melissa was reassuring as was Julie. Babies come when they are good and ready- and Melissa didn’t seem too concerned over the weight of the baby. I was a little anxious so I had Melissa strip my membranes twice, both pretty much only causing a few pressure waves here and there with some minimal cramping. Over the course of the 5 days leading up to Lyla’s birth I would get periods of pressure waves that were getting closer together and stronger. I would think “this is it! !” but then they would stop. That was so frustrating to me!! Not to mention a little embarrassing since I felt like the boy who cried wolf every time I called Julie or Melissa. On Saturday night April 14th, I just had a feeling I would be going into labor the next day. It was approaching 4 days past my latter due date which is when I went into labor with Joselyn. I knew for sure I wouldn’t feel up to going to church so I called for a sub. At 1 am in the morning the pressure waves started. They were 5 minutes apart. I wasn’t going to cry wolf this time, so I timed them for 2 hours, I took a nice warm bath and listened to my hypnosis tracks to relax myself. When they didn’t stop, I finally called Julie and Melissa to give them a heads up- but told them I would call them later on in the morning. I tried to get a little sleep in between pressure waves and at this point everything was very manageable. Nothing painful at all- I wouldn’t even call it discomfort. I was actually enjoying them! Really! I knew it meant that I would finally be getting the birth that I wanted and that I would finally get to meet my little Lyla Jane. When everyone woke up at around 8am, pressure waves were still coming 4-5 minutes apart lasting about 1 minute long. Melissa had told me that’s when I would want to be going to the hospital- but when I called her she wanted me to wait a little longer. The more I labored at home the better. Julie came over around 9:30am and we took the kids over to my in-laws. I got out my trusty birthing ball and did a lot of my laboring right there in my living room. I listened to just about every hypnosis track in my possession. We went for lots and lots of walks. I have fond memories of these walks. It was incredibly beautiful outside- a light cool breeze and sunny skies. It was the kind of day I had imagined in my head when I thought about Lyla’s birthday. We talked and laughed in between pressure waves- I was so excited things were happening!! We were going to do this! By around 4:30pm things hadn’t really progressed much- pressure waves were still about the same or ranged from every 2-3 minutes apart to 4-5 minutes apart. We decided to go meet Melissa at her office just to check on things. I had said early on that I didn’t want to know my progress in numbers- I was afraid knowing would discourage me if I hadn’t made much progress even though I had been taught in my classes that those numbers could mean anything. Well, it really was a good thing I didn’t know. After laboring all morning and afternoon, I was apparently only 4cm. I was 100% effaced though and the baby was at 0 station so at least that was all in place! We were sent back to labor at home some more. We tried to all get a little nap in when the evening came and even took another nice long walk just as the sun was setting. I really was starting to get a little discouraged. I kept on waiting for Julie to say “ok! let’s head to the hospital! It’s time!” but she never did. I personally felt like things were going SOMEWHERE because I felt different. I went through a period of chills and shook for a little bit as I was laying down and at one point couldn’t stop crying I was just so emotional. I was laughing through the tears because I honestly had no idea why I was crying. Of course it was the hormones- things were progressing- but still not enough for Julie to think I was ready to head to the hospital. I was afraid that if something were to happen fast we wouldn’t get to the hospital in time, but Julie reassured me that everything would be ok since we lived only about 5 minutes from the hospital. As far as “pain” or discomfort goes, everything was still manageable. Intensity had definitely picked up though especially in my lower back. Julie and Adam both took turns with massages and hip squeezes (took a lot of muscle on their part!) that relieved a lot of the pressure I was feeling. By midnight I was just ready to have the baby. It had almost been 24 hours since I started my labor and I would be lying if I said I didn’t feel discouraged. I felt that by staying home I was somehow keeping Lyla from coming- that I needed to be where I was going to give birth. In a lot of cases, going to the hospital can slow things down though- so really we had no clue what was going to happen once we got there. But I wanted to be at the hospital. So we went. When I first walked in to the room, the nurse immediately told me she supported what I was doing 100%. Not only was that a confidence booster, but it made me feel a lot more comfortable. Because it was a VBA2C, I was supposed to immediately get a heplock and be monitored the whole time. I was also supposed to get a dose of antibiotics because I had tested positive for Group B Strep. But Melissa still felt I had a way to go and that I would possibly want to go back home if I didn’t make any progress so they held off on the IV. I was checked- and once again, it’s a good thing no one told me. I was only 5cm!!! After laboring ALL DAY LONG!!! But as you will see, you really can’t birth by numbers! The nurses were so wonderful. They respected my wishes to labor on the birthing ball where I was most comfortable and tried really hard to get the monitor to work for me on the ball. It was difficult- they weren’t picking up much. So finally they said if I would lay in the bed for 10 minutes and let them monitor the baby they would let me back on the ball without the monitor. I will say trying to labor at the hospital WAS a lot more difficult. It was a lot harder for me to get into that relaxed state of mind that I needed to be in. Nevertheless, I know that the hypnosis was working because every time I heard certain cue words such as “relax” I would immediately feel more relaxed and my breathing would slow down. Things were getting pretty intense. Still manageable but definitely got me wondering if I could do it- especially when everyone around me seemed to think I wasn’t really close. I felt like the pressure waves were coming back to back at that point. I think it’s at that point when women think “I can’t do it” that things are actually happening. It was right about then that I felt a pop- and I said “I think my water just broke…” I stood up to “confirm” and sure enough my water had broke. They took me to sit down on the toilet- and I felt like I had to pee- and the nurse checked me again. I was an 8. Then all of the sudden I had an urge to push. I had never felt it before but it was very powerful. I remember it being really intense but I loved that my body was doing what it was supposed to be doing! It almost made me giddy inside. They moved me to the bed. I had told myself I would never push on my back again (which is what I did with Joselyn) but it was strange that it was what felt right and most comfortable. Things moved pretty fast from there. I couldn’t hold back my urge to push- and Melissa was called. An IV was put in quickly so I could get my dose of antibiotics as well. I must say I felt pretty silly- I was trying to breathe her out as much as I could but sometimes what came out of my mouth was making me laugh inside. With each push I could feel Lyla making progress. It was incredible! I would get a small rest in between the pressure waves and those were relaxing. I would get enough energy to push again. I was glad at this point that I had labored mostly at home- eating and drinking as much as I wanted so I would have energy for that moment. Things kind of get complicated from here. I was really focused on what I was doing so although I was completely aware, there’s apparently a lot I missed. We had learned earlier on that Dr. Campbell was on vacation. Melissa wasn’t there yet so a laborist (on call Doctor) was called up to deliver my baby. Although I was having the urges to push, I was apparently not “complete” and the nurses were trying everything to get me to that perfect 10 to “avoid interventions”. I later learned the laborist was completely against VBACS and was telling the nurses I needed to have a c-section. Thankfully, the nurses were successful in getting me where I needed to be before the Dr. had come up to deliver the baby. I pushed for about 15 minutes- and then she was here at 4:13am! Words can’t describe the feelings I felt at that moment. I couldn’t believe I had done it! It was exhilarating! Adam and I were both very emotional as they pulled Lyla onto my chest. She cried for a minute, then with her big dark blue eyes just started looking around taking in the new world around her. She was so sweet and I was so in love. I just got to cuddle with her there as Adam helped clean her off. About 5 minutes after the delivery, Melissa walked in. I am so sad she missed it- she was the reason I had been able to do this in the first place. I had a 2nd degree tear- nothing major at all- but the doctor apparently wanted to take me to the OR for better lighting to give me stitches. That seemed odd to everyone in the room, but I initially consented. When it was apparent that was an odd thing, I asked Melissa if it was necessary and she said it wasn’t. It wasn’t a bad tear, I didn’t have bleeding… so I decided not to get stitches. That apparently made the DR pretty upset. 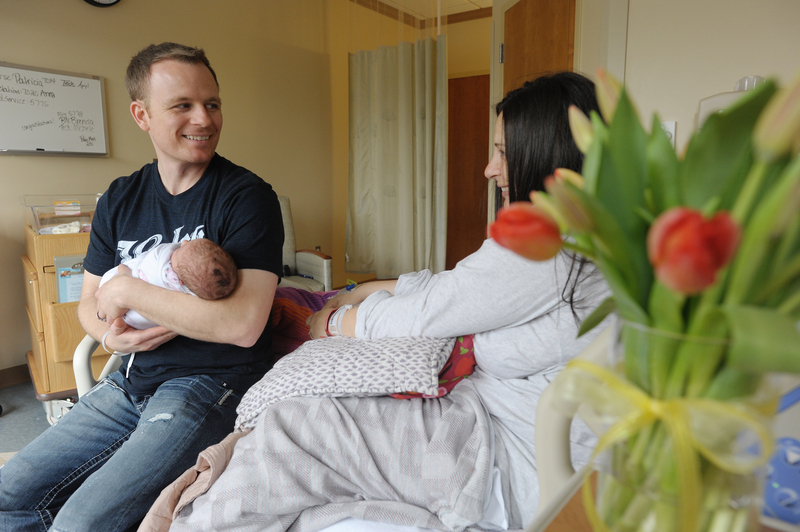 After talking to Melissa, he came back into the delivery room and said I would have to sign a waiver. I told him I would calmly and thanked him for all that he did. I could tell he was upset. I later learned he was not a huge fan of midwives or VBACs. He told Melissa she hadn’t followed protocol and was trying to write her up. The nurses would not consent. She had done everything she was supposed to. To me, this was a blessing in disguise. Even though I would not have consented to a c-section, I can imagine things would have been tense and stressful had I not progressed the way I had and he had walked in even saying the C word. I’m so glad we didn’t give up along the way. I got exactly what I had wanted. Even looking back- knowing things did get hard at one point, I can’t remember being in pain at all. 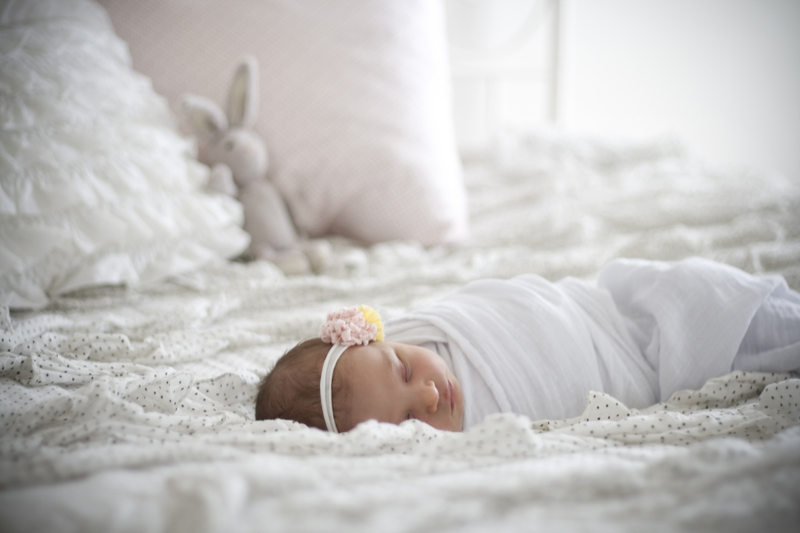 All I remember are the overwhelming feelings of joy when Lyla was born. And the feeling of accomplishment. And gratitude for the experience and to all that sacrificed their sleep and time with their families to help me. I’m amazed with what our bodies can do- really- even after 2 c-sections my body still knew what to do when it came time to giving birth. It was all a miracle! In the hospital, the day I gave birth, a nurse walked in and asked if I was the patient. She couldn’t believe I was up walking around doing things so shortly after my birth. The day we got home from the hospital I took a short walk- it felt nice to be able to move around freely. Again, choosing Melissa as my midwife and Julie as my doula was essential to my success. I am a big believer that choosing the right care provider during a VBAC or VBA2C will greatly add to it’s success. Laboring at home as long as possible also helped me to stay focused listening to my hypnosis tracks. I ate a lot of crackers and apple sauce and drank lots of water during labor- that gave me the energy that I needed to last through my 26 hour labor and delivery. I’m so grateful that Hypnobabies helped me to have a relaxing and enjoyable birth experience void of fear and pain. I won’t say it wasn’t ever hard for me, but the intense moments were short lived and easy to get through because of all the techniques we had learned in class. I’m in love with my birthing experience and the bond it has created between me and Lyla. Even my relationship with my husband was strengthened because we worked together through it all. I will shout praises about Hypnobabies the rest of my days! 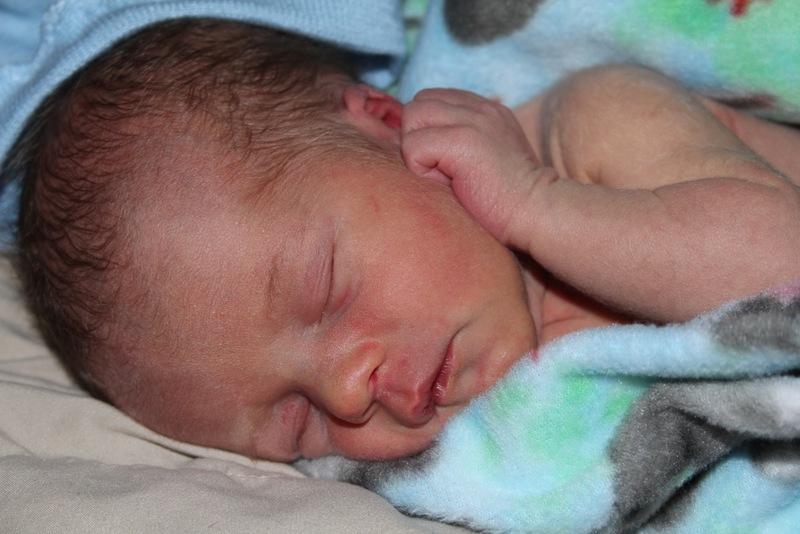 Thank for Gina from the Hypnobabies Yahoo Group for sharing her birth story. 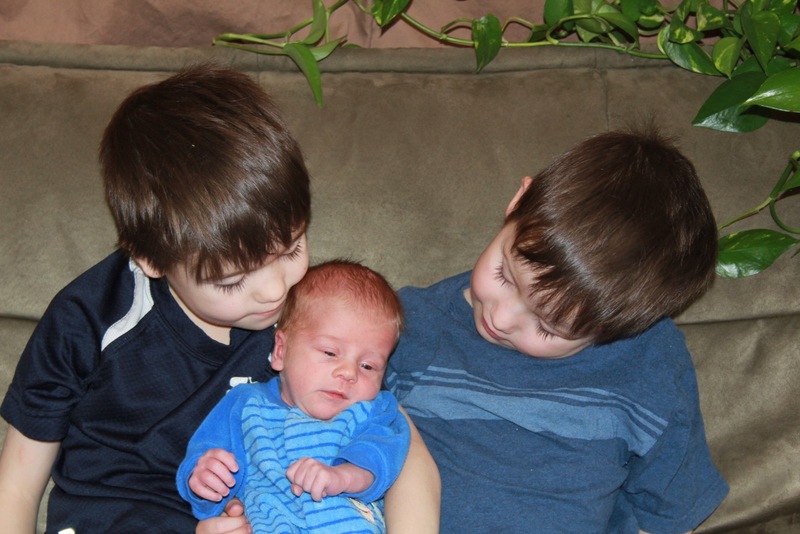 Our third son and first hypno-baby was born on November 17. I’ve been wanting to share our birth story with the group ever since, but I had no idea how long it would take me to finish writing it now that we have a newborn, a two-year-old, and a not-quite-four-year-old! Anyway, I finally finished it…only two months later! I remember our Hypnobabies instructor joking that hypno-birthing videos weren’t very exciting to watch, and when I go back and read my story it really doesn’t make for very interesting reading...the birth was so easy and uneventful. 🙂 So here goes. Thanks to Sarah from the Hypnobabies Yahoo Group for allowing us to share her story! I was told 19 years ago that I could never have a vaginal birth. This was told to me when I was pregnant with my first child by my doctor. Everyone told me I was just too little and I was just not made to birth a baby. She was a c-section and I had 3 more c-sections after that. Laboring with all of them. One, failure to wait. Two, frank breech. Three, breech. Four, because I didn’t know any different. I knew in my heart I could be normal. I believed this. I just needed someone to believe in me. I was pregnant with my fifth child. There was only one physician said he would let me try. That’s all I needed to hear. I even scared the midwives and they wouldn’t take me. I finally was going to have a vaginal birth. Well, shortly after that I was devastated to find out I had suffered a miscarriage. After I got the o.k. we tried again. After trying for one month we were pregnant. I did every thing I could to stay and keep healthy. I took my vitamins, ate healthy, walked 3-5 miles a day and started to see my chiropractor. I also started with Hypnobabies at 13 weeks. (I listened while sleeping at night & used the VBAC cd) Nothing and no one was going to stop me. Thanks to Hypnobabies and my big ‘bubble of peace’ I fought everyone off including my husband. The baby was very low and had been for a couple of weeks. I knew she was going to come early. I didn’t think it would be quite this early though. It was September 5 and I was 36 weeks and 5 days. I woke up at 7:00 a.m. with my water broken. Not a gush, but not a trickle either. I hadn’t had any pressure waves yet. I knew if this was like my last birth they would start soon, even though the last one was a planned section. I woke up my DH and told him today is the day. At 8:15 my DH called my mom and told her she would need to come and take our DD soon. She is just shy of her third b-day. We got the kids off to school. Of course, they all wanted to stay home. I started to pack up my things. 9:30 My pressure waves were barely starting. 9:45 They had picked up enough to start timing them. They were 9-10 minutes apart and 30-45 seconds long. I couldn’t feel anything except for tightening. No pain yet. At this point I was getting the car seat put together. I also spent a few minutes cleaning the kitchen. At 10 a.m. I called my doula to give her heads up. I told her I thought it might be a while so don’t be in any big rush. I was just getting started. She said it was funny I called because she was just thinking of me and how I was. I finished up the kitchen. 10:30 a.m. I went up stairs to get the rest of my things together. I started to time my pressure waves again. To my surprise they were 2 minutes apart 45 seconds long. I knew they were a little closer. I didn’t they were that close because I had NO pain! I called my doula back to let her know. We talked about what I should do, wait it out, her come over, or go to the hospital. I didn’t want to go to soon so I decided to stay at home. Since I wasn’t in any pain I didn’t think she needed to come yet. I went on and put in my birthing day affirmations. 11:30 My mom came over to see how I was doing. She couldn’t believe I was in labor. Finally, I had to ask her to leave so I could stay focused (all she wanted to do was talk). Still no pain, only pressure. 12:00 Mom left. I got in the shower. My pressure waves are 2 minutes apart and 45 seconds long. 12:20 I got out of the shower and laid down. I put in easy first stage. At this point my two year old kept hitting the cd player and turning it off. I told my DH since I couldn’t stay focused because of DD to call my doula and mom and tell them to come. My pressure waves seemed to slow down but were more in tense. 12:25 My doula and mom were called. 12:30 My mom came. I called my doula and told her I was sweating and shaking. I had also gone to the bathroom and there was bright red blood in the toilet. She was still surprised to see how calm and in control I was. She knew because of my symptoms I was in transformation. We both agreed to meet at the hospital. I didn’t want to get there to early but now I thought I wish we had left sooner. No pain, only tightening. 1:00 We were off to the hospital. I still wasn’t in pain but the pressure waves were very intense. My DH was going 55 mph I told him he might want to go a little faster. That was a very long half hour drive. 1:30 We get to the hospital not before DH tries to go to the doctors office first. I get out of the car with no shoes on. We get buzzed in and I have a pressure wave at the door and this LOUD buzzer goes off. My ipod couldn’t drown this out. With the help of Hypnobabies and my doula I make it through. I opt out of using the wheelchair and choose to walk to triage. They ask me to pee in a cup and put on a gown I decline both and ask if they can just get me to a room. Of course, they have to check me here first. I think they all about fell on the floor when they found out I just had an anterior lip and was +1. That got them moving a little faster. The rest of this I am blurry on times. I remember getting to LDR and my doula tells my DH that I was pushing. I didn’t even know I was until she pointed it out. I was vocalizing at this point. Things were so intense I don’t know what I would of done without Hypnobabies or my doula. The next thing I knew this doctor walks in that wasn’t my OB. My OB catches his own. I ask who he was. He was filling in for my OB. This was not in my plans. From the start he was rude and wanted to intervene in every way he could. My BOP was tested tremendously. I fought him for two hours. Love that BOP. The hospital was NOT Hypnobabies or naturally birth friendly at all. He said I should be glad he was there because no one else would take me after so many c-sections. He asked if I wanted him to leave. I said yes, then he wouldn’t go! He said no one else would take as a patient. Whatever! He also kept saying he was only giving me 15 more minutes then he was using forceps or the vacuum, this would speed things up and ease up any pain. One of the nurses said he had somewhere to be. They turned the lights on, I was center stage for people to came watch, I was told I was only thinking about me not my baby because I wouldn’t use interventions, and they told me as the baby was crowning that if I didn’t use an internal monitor I would have a dead baby! Her strip was fine. He just wanted to be in control. I still say my BOP protected me, if only my DH knew how to use it. I was doing MUCH better than him. Also, I did get to reach down and touch my babies head, that was AWESOME! 3:28 My baby was born. The mean doctor did two episiotomies without consent! As he was sewing me up from my 2nd degree laceration when my doctor walks in. He drove in from two hours away driving 80-100 mph to catch the baby only to miss it by 10 minutes at the most. The mean doctor was giving my doctor some big spiel about how I had ruptured and I needed an IV. Yes, I won with the IV and hep-lock, I didn’t have one. I even got to wear my own clothes-no gown. I think the way I was all over the bed it would have been the way. So, my doctor checked me and said ‘no, I hadn’t ruptured and there was no need for it’. I think he was really bummed he missed it. I had done it. A 100% natural VBA4C. No meds at all. This gives me the courage to do it again! In the end, it was a very bittersweet day. It was a year ago today that I found out that I had miscarried. And today I was blessed with a perfect baby girl and a natural vaginal birth that everyone doubted I could have. God is good! Apgars: 9 and 9. Pretty good considering ‘I was self centered and the jerk was threatening me with the internal monitor with the baby not doing well’. 4 hour pain free labor-2 hours of BOP pushing. Thank You Hypnobabies! I couldn’t have done it without my doctor, Hypnobabies, my chiropractor,and my doula.